The evolution of the unmanned drone has been quite extraordinary over the past few years and even though anyone can now get their hands on their very own personal drone it’s been such a useful technological innovation that has led to a myriad of various uses in a host of different industries and markets. Typically they were most commonly used in the entertainment industry whereby operators were able to attach cameras to the drones in order to shoot footage from above. A technique now employed in movies, on television productions and sporting events. But it is something that has been able to reach further afield. Drones have been utilised in the real estate market in order to provide potential home buyers with birds-eye views of the properties whilst security firms have also been able to use smaller drones for surveillance purposes in order to keep a real-time eye on various areas they may not have direct access to at the time. Two major implementations of drone technology that has been talked about most frequently is their intended use by the police in order to track potential criminals to help on-foot officers keep track of the perpetrator. The other is of course the delivery industry with companies such as Amazon persistently challenging instant delivery solutions by promising same day drone deliveries that will be able to deliver your goods directly into your back garden in a matter of minutes. As drone technology evolves it wouldn’t be long before a company would be attempting to create a drone large enough to carry a person. Of course we have helicopters which up to now have done a good job but imagine just about anyone having the ability to hop in and fly around. 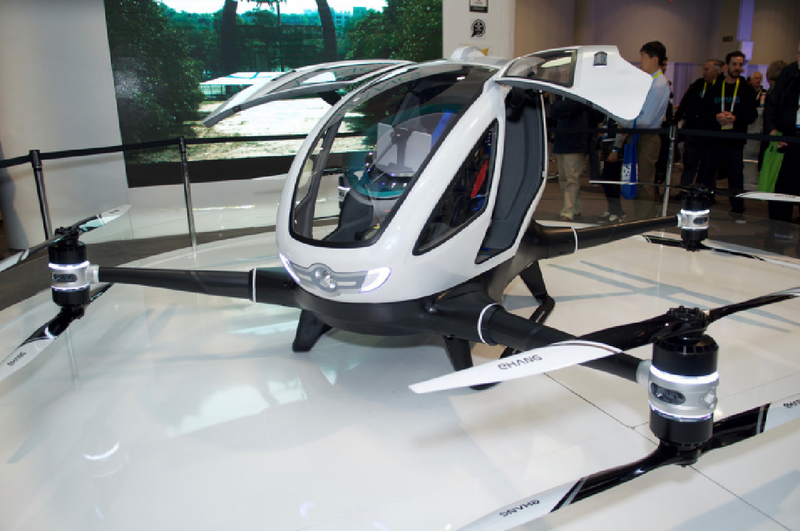 Ehang, a Chinese drone maker, have revealed their new 440lb autonomous transport drone, The Ehang 184. The drone itself can reportedly carry a person up to 500 metres into the air whilst flying utilising Google Maps to avoid surrounding buildings and other potential objects. It will automatically be able to take-off, fly and land at your destination without you having to worry about controlling it at any point meaning that just about anyone will be able to use it. It’s even set to have in-flight Wi-Fi built in so you can just sit back and enjoy yourself on your journey. Whilst it sounds like a great concept and the RedFlushCasino review of the personal drone makes it seem like an incredible step in drone technology there are of course a number of drawbacks for the new innovation. Initially the drone will be limited to 23-minute journeys, due to the limitations of its on-board battery. Whilst that might be good enough for short local journeys it’s a product that will cost you around £130,000 and £200,000 for the privilege. 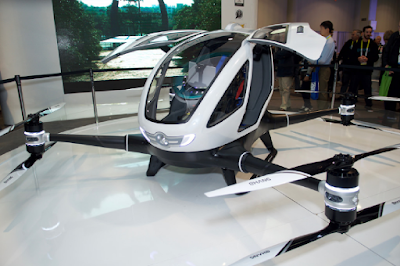 But of course the Ehang 184’s biggest drawback is regarding drone regulations. The drone for example wouldn’t be able to be used in the UK for instance because of flight regulations and it would require years and years of various testing before something like this would be allowed on the market.